Natsume’s Book of Friends The Movie: Tied to the Temporal World will be released on September 29, 2018. It was recently revealed that Japanese singer Uru would sing the movie’s main theme. 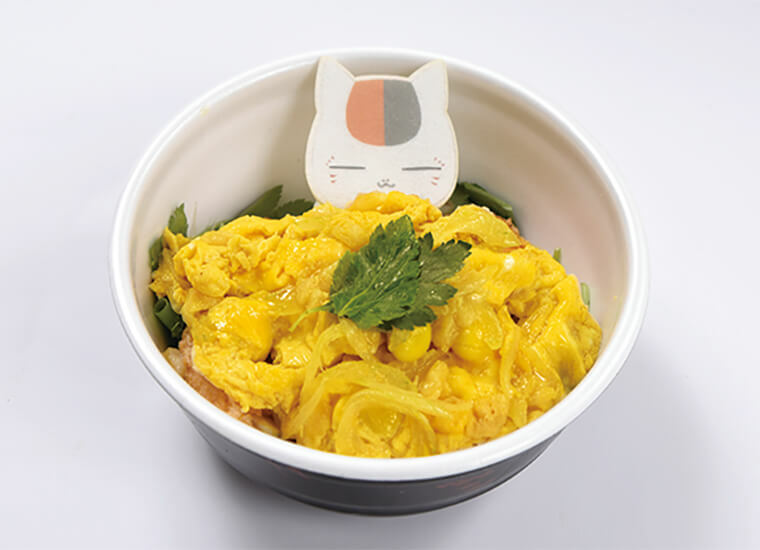 To celebrate the release of the movie, two themed cafes will open in Tokyo and Saitama as well as a character café booth at the Kyoto International Manga & Anime Fair 2018 (Kyomaf). 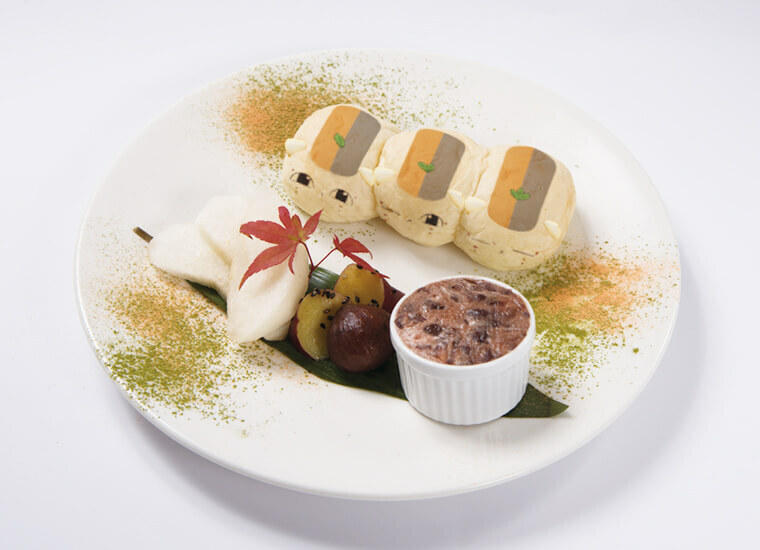 To get fans in the mood for the upcoming movie the cafés will serve a variety of themed dishes tied to autumn as well as merchandise with an autumn-time theme. 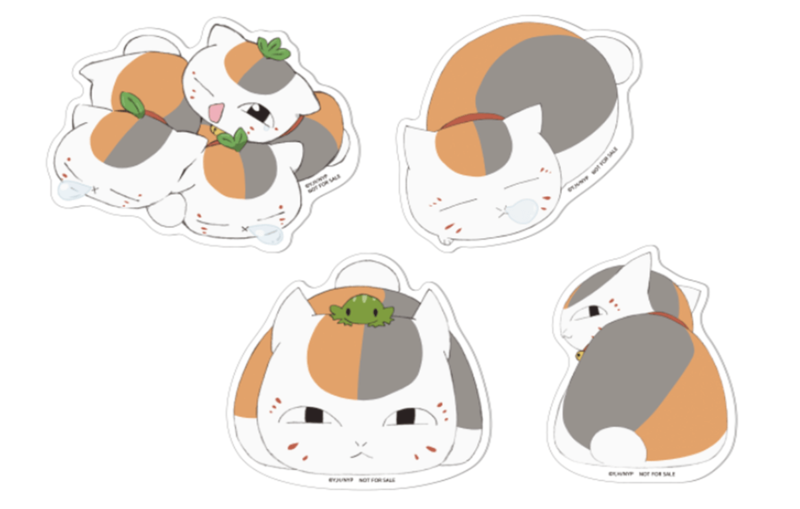 Those who book at the Tokyo café in advance will receive one of four randomly selected original stickers pictured above. There will also be five different coasters selected randomly and given to those who order from the menu. 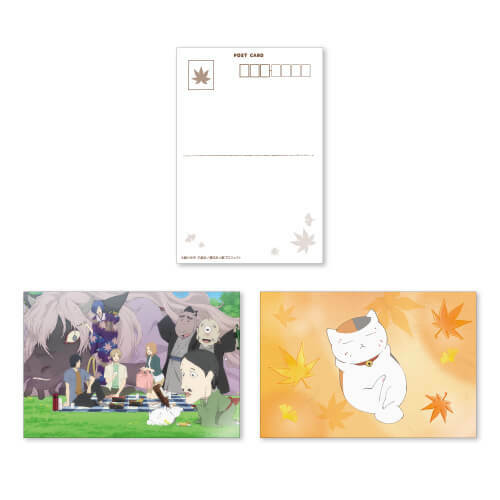 The menu items will differ at all three cafés, so enjoy a Natsume Book of Friends themed meal before seeing the movie. *For access details check each café’s official website. 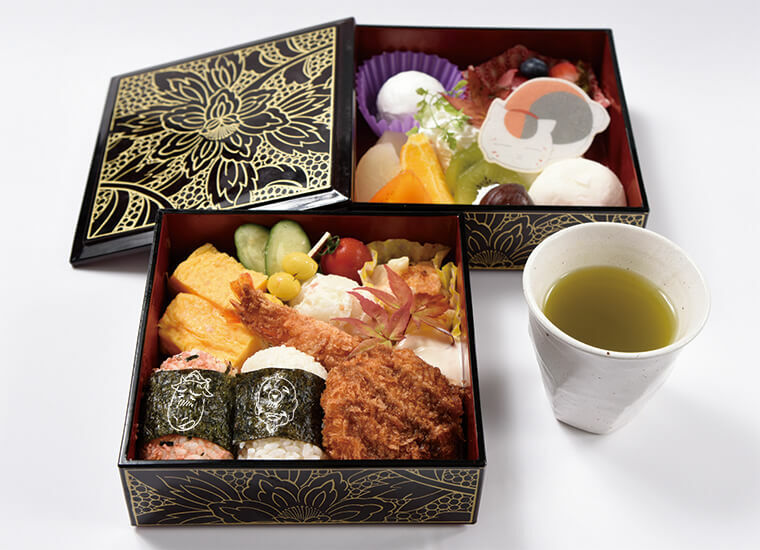 Tokyo: Booking costs ¥500 online. 80 minutes stay max.